By now you’re probably aware that Facebook, and plenty of the other apps you refresh non-stop every day, is collecting tons of data on you. How else would they serve you those perfectly targeted ads? What you may not have known, however, is that Spotify, Netflix, and other third-parties gained access to your information courtesy of the embattled social media giant. Facebook made the disclosure on Tuesday in a blog post written as a response to a bombshell New York Times report on the matter. Facebook officials claim, however, that they had good intentions, saying they allowed companies like Spotify, for example, to access your messages in order to enable users signed into the music streaming platform via Facebook to send and receive direct messages without having to toggle back and forth between apps. “Did partners get access to messages? Yes. But people had to explicitly sign in to Facebook first to use a partner’s messaging feature. Take Spotify for example. After signing in to your Facebook account in Spotify’s desktop app, you could then send and receive messages without ever leaving the app. Our API provided partners with access to the person’s messages in order to power this type of feature,” Facebook’s blog post read. 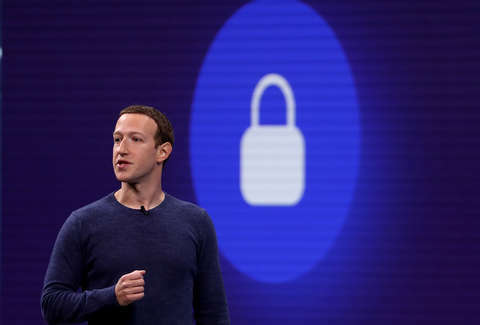 Konstantinos Papamiltiadis, Facebook’s director of developer platforms and programs, said in a statement that no companies involved in the site’s data sharing initiative were done without user permission. Bet you wish you’d read those user agreements a little closer now. Still, former Federal Trade Commission officials have said that Facebook’s newly revealed agreements likely violated regulatory requirements. To his end, Papamiltiadis admitted the social site “needed tighter management over how partners and developers can access information. The good news, if you could call it that, is that both Spotify and Netflix said they had no idea they had that sort of access. The TV/movie streaming service told Business Insider that while it did try different ways “to make Netflix more social,” it didn’t access anyone’s messages. Facebook added that it found no signs of abuse under the agreement. Welp. If anything, now might be a good time to wipe your Facebook messages folder clean or, you know, keep it PG in there.